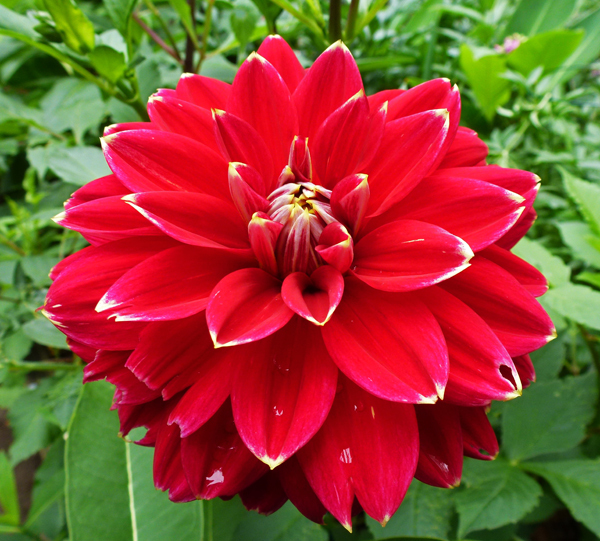 It is that time of summer when the dahlias are starting to bloom here and I recently spotted this beauty. It has had a few petals gnawed on by pests but it was still lovely to see. What a gorgeous bloom. We don't see many here in the desert but I've seen plenty in California when I'm there. I'm always amazed at how big the blooms are. Beautiful, I love dahlias. Happy Sunday, enjoy your day and new week ahead. That is lovely and REAL life, scars and all, like US! It's a beauty and I love the colour. Dahlias are such beautiful bloomers. I didn't plant any this year and I'm starting to miss them...once the sunflowers bloom I'll see if they're a suitable substitute. That's pretty with the yellow tipped petals.